Yesterday was the first walk of Erie's newest dog walking group: Pack of Erie Dogs. We founded this group for your favorite reactive dog since we know how important socialization is, but how difficult it can be for a reactive dog and his owner. We wanted to give other Erie dog owners a safe place to take their dog and work on their issues weather it be dog reactivity, timidness around new people, pulling, or just staying active and social. PEDs mission is to provide a safe and supportive environment free of judgment in which dogs and their owners can walk together to work on becoming responsible members of society. 15 dogs joined us in our first walk and we had a range of personalities! What really amazed me was our reactive dogs and their owners. I am so impressed with these folks that came out with us. We know how hard it is to take a reactive dog out -- and how much easier it is to just leave him at home! We started this group for those owners and dogs -- so THANK YOU for joining us! If you're interested in joining us, don't forget to "like" us on facebook and send us an application. If you have any questions feel free to email us at PackofErieDogs@gmail.com. Woot! What a great looking group. I love the diversity of dogs and kudos on starting out with so many like-minded dog owners. There were SO many different types of dogs with us, and they all had something they were working on. It was nice to have such a supportive group! Yay! So excited to hear that your first pack walk was such a big success! Can't wait to hear more about how future walks go! CONGRATS! I couldn't believe it - and I got several inquiries today from new people who heard how much fun it was! Thank you so, so much for all your help and being my trampoline to bounce ideas off! So exciting! I can't believe you had so many dogs, and it looks like such a great group! We couldn't either!! I was prepared to be okay with just Ed & Tess being on the walk -- and as it was they didn't even get to go!! Thank you so much for your support and guidance in getting this off the ground. Great idea and it's barktastic to hear that your first walk went well. I wish we had something of the kind in our area! 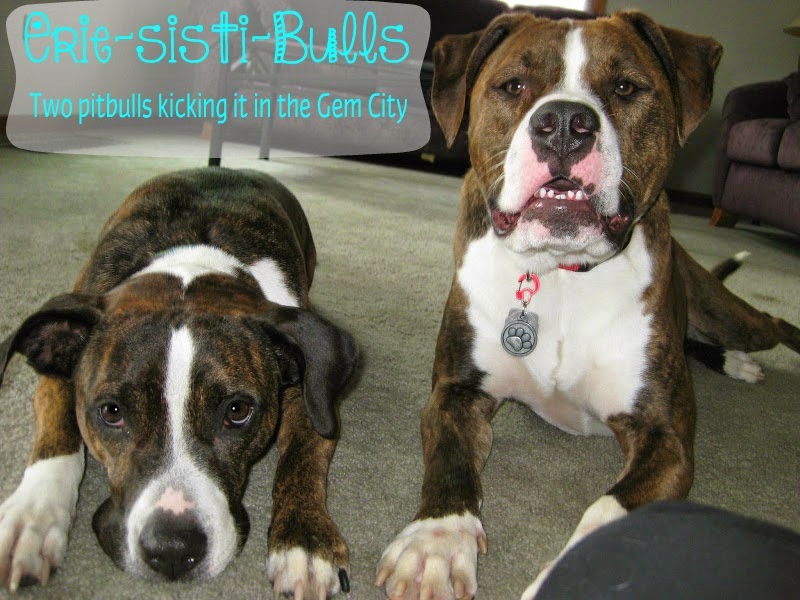 Well, we can't take credit for the idea - we learned about the walks they were having in Chicago (Two Pitties in the City) and Kansas City (Our Waldo Bungie) and we were jealous -- so we decided to start one for us! What a great group, if we were there we would have joined in, we need something like that here! Good job! This will be so helpful to so many dogs:) And fun!